When considering a new website, it’s important that you take SEO into consideration. You need a website that’s fast, mobile responsive, search engine friendly, and easy to navigate. Our expert web design team enjoys helping small businesses rank highly on Google with an aesthetically pleasing website. Call us today at (770) 580-3736 for more information and feel free to review some of our recent projects below. Providing a winning combination of Web Design, Search Engine Optimization services, and Social Media Marketing, to generate more leads for small businesses. 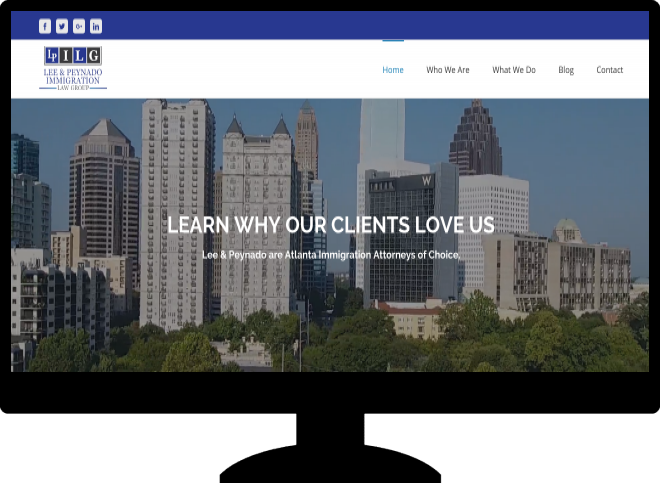 Jay and team designed a beautiful new website for my Atlanta business. Within a few weeks, our website was ranking at the top of Google and conversions improved by 50% or more. Once you give us a call, we’ll do a free web assessment and determine the right solution for your small business. You’ll appreciate our consultative approach from the very beginning. Our digital marketing strategy and web design approach is time tested with proven results over the past 8 years. Call us today at (770) 580-3736 or complete our online form to learn more about us.